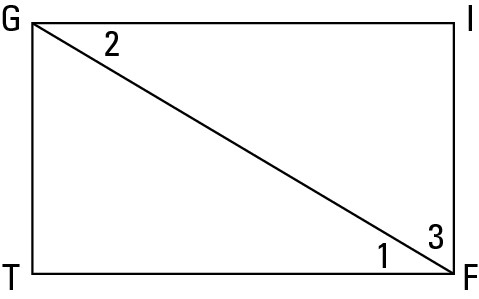 Transitive Property (for three segments or angles): If two segments (or angles) are each congruent to a third segment (or angle), then they’re congruent to each other. The Transitive Property for three things is illustrated in the above figure. Transitive Property (for four segments or angles): If two segments (or angles) are congruent to congruent segments (or angles), then they’re congruent to each other. The Transitive Property for four things is illustrated in the below figure. A figure isn’t especially helpful for this property, so one isn’t included here. Use the Transitive Property as the reason in a proof when the statement on the same line involves congruent things. Use the Substitution Property when the statement does not involve a congruence. 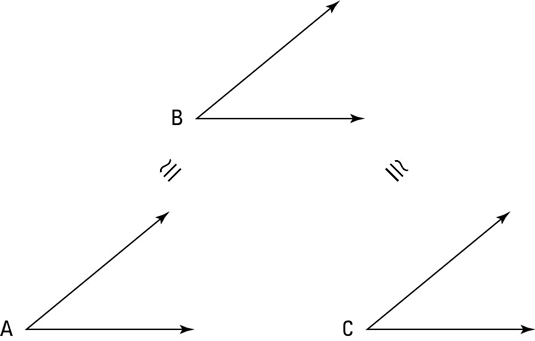 Reason for statement 2: If two angles form a right angle, then they’re complementary (definition of complementary). Reason for statement 4: Substitution Property (statements 2 and 3; angle 2 replaces angle 1). This is another incredibly short proof that doesn’t call for a game plan. 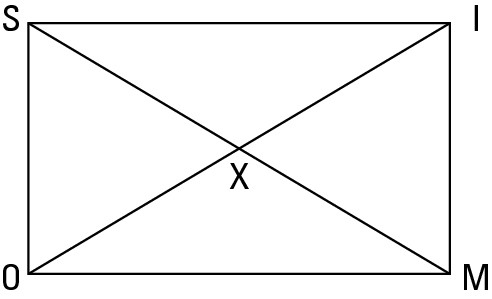 Reason for statement 2: A midpoint divides a segment into two congruent segments. Reason for statement 4: Transitive Property (for four segments; statements 2 and 3).